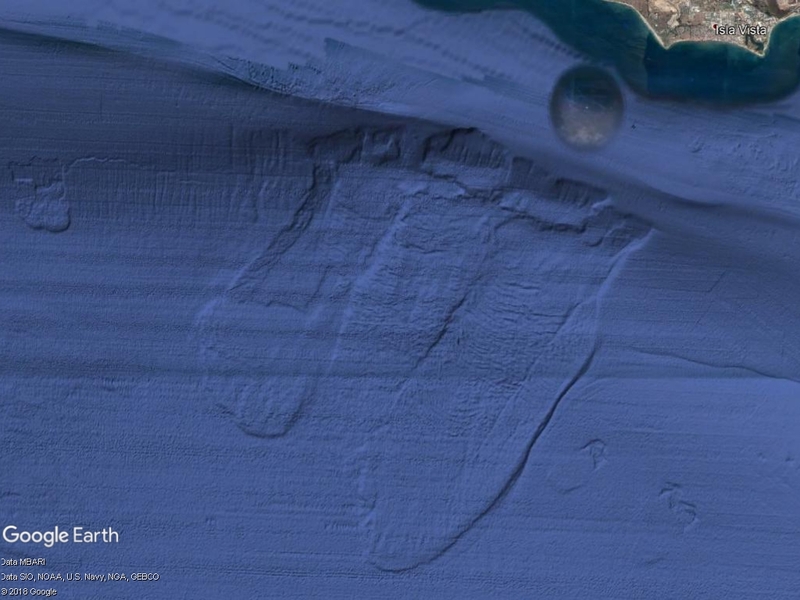 The Goleta Submarine Landslide Complex is located on the Santa Barbara Channel near Coal Oil Point near the cities of Goleta and Santa Barbara. There are three large sediments formed by subterranean landslides, some of which extend more than 10 kilometers to the sea floor in the Santa Barbara Channel, from their source along the rim near the collapse of the continental shelf edge. Research has shown that a record submarine landslide failure began in the area 200,000 years ago, with two of the major landslide defeats dating to around 10,000 and 8,000 years ago. The scientists are worried that such landslides off the coast could cause tsunamis that may affect the coast of Santa Barbara. Investigations showed that at that time up to 30 meters high tsunami waves at Coal Oil Point occurred. Since the seabed is unstable there can be expected at any time with another landslide.